Land Destroyer: Big Agri's GMO "Super Bananas for Brown People"
Big Agri's GMO "Super Bananas for Brown People"
Perhaps the most racists, disgusting public relations stunt yet to sell genetically modified poison to the masses and monopolize the world's food supply. June 21, 2014 (Tony Cartalucci - LocalOrg) - Much of the starvation and malnutrition across the so-called "developing" or "third" world, is due to the unmitigated, global campaign of human exploitation driven by globalization. The Walmarts and Tescos of the world line their shelves with goods cultivated, manufactured, and otherwise sourced from millions of people living under unhealthy, inhumane conditions up to and including literal slavery across the third world. This system of global interdependency, lorded over by Wall Street and London corporate-financier monopolies, doesn't just coincidentally allow such conditions to exist, but is built on this perpetual and ever expanding socioeconomic disparity. Clearly the solution to solving destitution that leads to malnutrition and starvation is addressing the socioeconomic disparity that created it in the first place, but the monopolies that benefit from this disparity the most are in no way about to do so. Instead, their proposal is to feed the third world with genetically modified gruel to make up for the fact that poor populations cannot access a normal, balanced diet. This "GMO gruel" not only allows big-agricultural monopolies to expand their markets under the guise of "charity," but allows them to monopolize a greater portion of the world's food supply. By hooking the third world on "GMO gruel" that will be patented, centrally controlled, and beyond the means of local populations to reproduce independently, the very perpetrators of global disparity will only tighten their grip on humanity tighter still. From "Golden Rice" to "Super Bananas," this GMO gruel represents the very worst of a long history of inhuman, racist imperialism. It is essentially corporate-financiers handing out "Super Bananas for Brown People." The same propaganda networks focused on keeping consumers globally ignorant about what is in their food through anti-GMO labeling campaigns, are pushing poisoned, monopolizing GMO schemes like "Golden Rice" and "Super Bananas," disguised as "socially conscious" biotech "charity." But GMO gruel for the most destitute of society is not an answer. At best, it is a cheap publicity stunt designed to push GMO into new markets while painting opponents of big-agri multinationals as "promoting starvation." At worst it is a sovereignty usurping assault on a global, national, local, and even personal level. Either way, it should be wholly condemned and rejected. The real and most obvious solution is not peddling GMO gruel to the impoverished to make up for the fact that they don't have access to a normal diet, but to give them access to a normal diet in the first place. This is done with first stabilizing the geopolitical chaos that creates and perpetuates socioeconomic injustice. This must be done by exposing and foiling the West's various hegemonic geopolitical campaigns in Africa, South America, Asia, and even Eastern Europe. Next, education and localizing agriculture through training and assistance could be done in the short term, providing a long term, self-sustaining solution. Organic farms producing a variety of crops for local consumption, rather than devastating, debt-incurring monoculture pursued by farmers worldwide in a self-defeating cycle of debt and dependency on big-agri, could begin solving deficiencies in local diets - not to mention a whole host of other socioeconomic challenges. Image: The multinational corporations pushing for "super bananas for brown people" are the very monopolies that have created and perpetuated the conditions of immense disparity that have caused malnutrition and starvation for millions in the first place. Understanding that these monopolies are the problem, and that decentralizing their power is the answer, is the first step to truly solving injustices now being exploited to further expand the power of these special interests. For the hundreds of millions being wasted on "Super Bananas" and "Golden Rice," such funding could be directed toward truly solving malnutrition and starvation. By solving these problems permanently and locally, big-agricultural giants like Monsanto, Syngenta, Bayer, and others, would be denied an opportunity to exploit human misery they themselves have contributed to creating and perpetuating, to merely expand their monopolies and negative impact on humanity further. 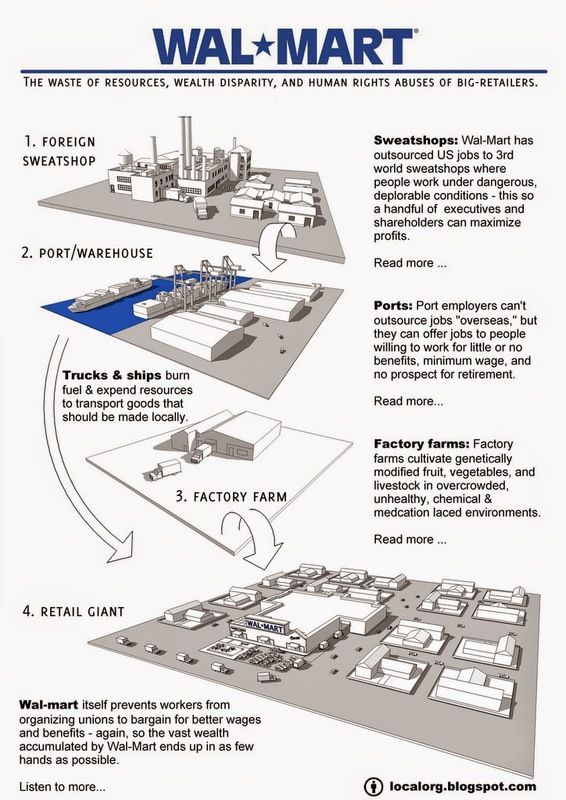 In Thailand, the new military-led government that has come to power is attempting to ween the population off of subsidies and dependency on big-agricultural giants through a national organic agriculture initiative that includes creating localized fertilizer production, local processing, and even training in marketing to give farmers the power to sell their crops directly to the markets rather than depend on big-retail monopolies. Real solutions that truly help the people, are implemented at the expense of corporate-financier monopolies. By decentralizing everything from fertilizer, pesticide, and herbicide production, to distribution and retail, the very existence of multinational monopolies are challenged. Since the governments many people believe serve their interests, in fact are directed by corporate-financier special interests, expect none of these solutions to ever be implemented by "them." Instead, we must come together as communities to solve these issues locally for ourselves, and create sustainable models that can be replicated around the world by others who need them most. It is not a solution that can be implemented overnight, but it can be done, step by small step, year by year, toward a better tomorrow. 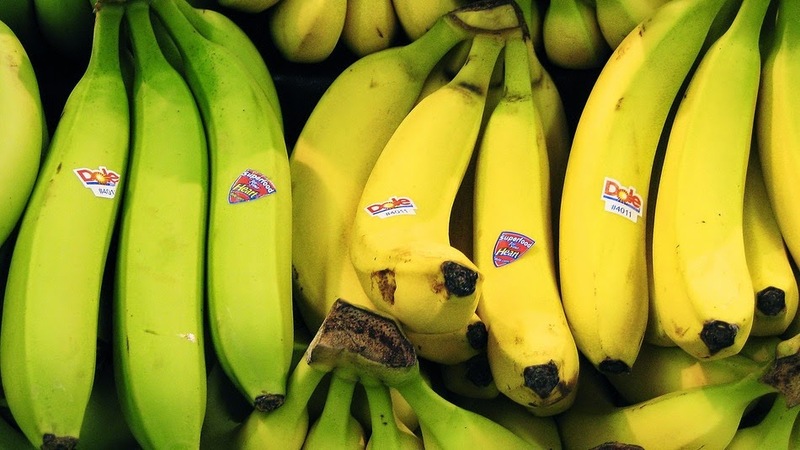 Since "Super Bananas" and "Golden Rice" are in fact, not solutions at all, it is guaranteed that the problems of malnutrition and starvation, as well as dependency on unjust multinational monopolies, will persist or in fact, worsen. We have nothing to lose, no matter how slow our progress may seem, by taking the first tentative steps today.